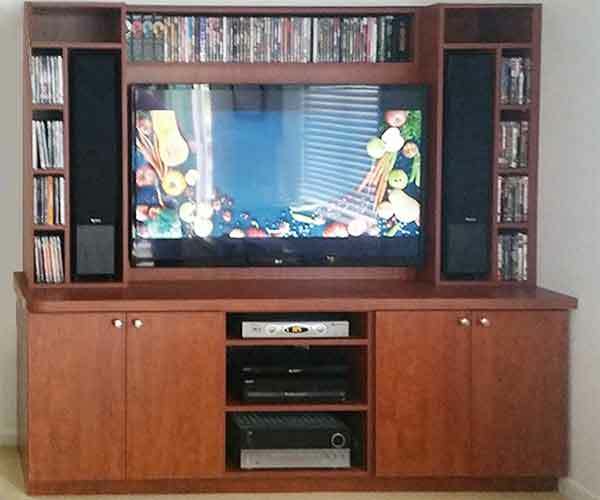 Custom made Cabinet for Entertainment Center complete with TV, CD racks, DVD player, large speakers, and sound system. We have multiple colors to choose from and will be designed to match your specific needs. European Closet (Euro Design Center) has been serving Maryland, Washington DC and Virginia since 1980. We have installed thousand of beautiful closet organizers. Our highly trained closet designers will come to your house absolutely free and will measure and discuss your storage needs. Then we will send you a design with pricing. Elegant Display Cabinet with glass doors, glass shelving, overhead lights, countertop and storage space. Our Display Cabinets and Display Units come in many different colors. 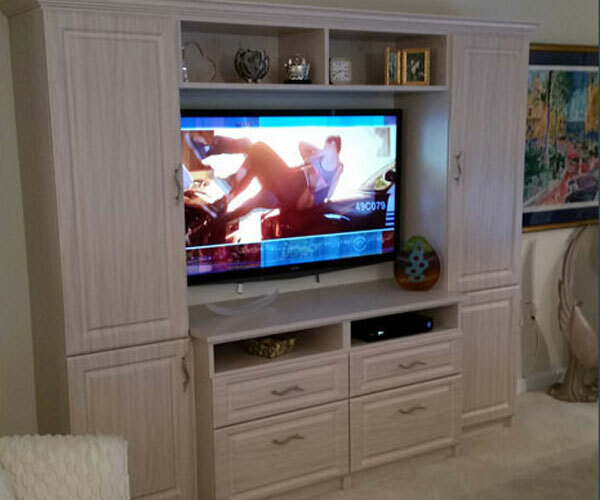 We custom make affordable and complete TV Entertainment Centers with TV Cabinet, Speaker doors, pullout shelves for DVD player, room for Stereo system and more. 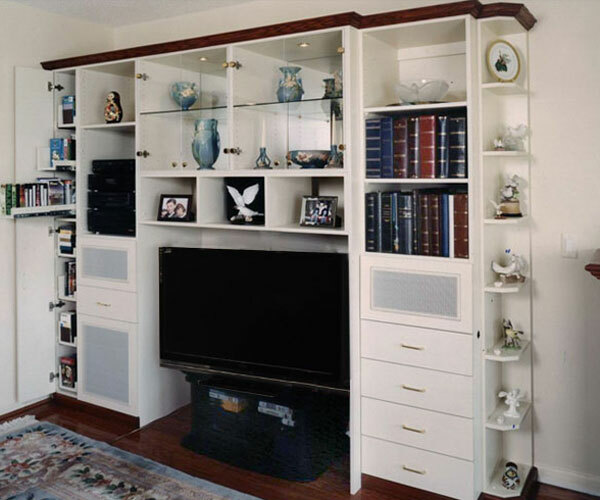 Our Corner Cabinet Shelves make it possible to make the best use of corners in a TV Entertainment Center. 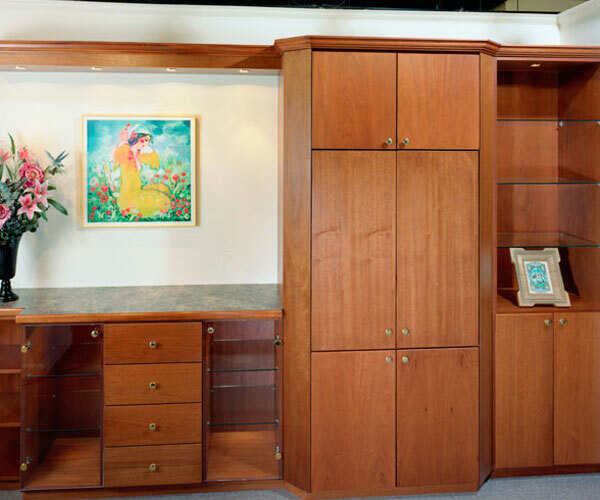 Unlike many companies making Cabinets with only a few sizes, European Closets customizes each corner shelf's width, length and depth to maximize your space. Most corner shelves are made as a single piece for additional strength and better look. Affordable Wine Bar Designs done in Washington Metro area. We make Bar Designs for pubs, restaurants, and homes. 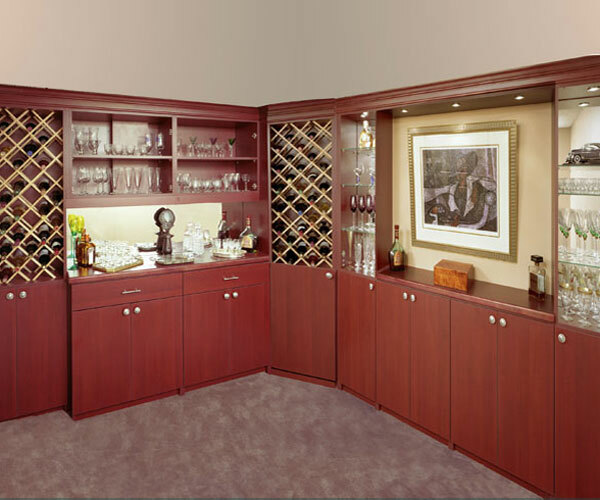 Beautiful Home Bar & Kitchen with wine racks, wine glasses, and liquor storage. Custom made Home Media Center with room for large screen TV, DVD player, and stereo system. Select form many different colors. Speaker doors available. We make showcases for your home or business. Get your showcases done with glass doors, glass shelves, and overhead lights. 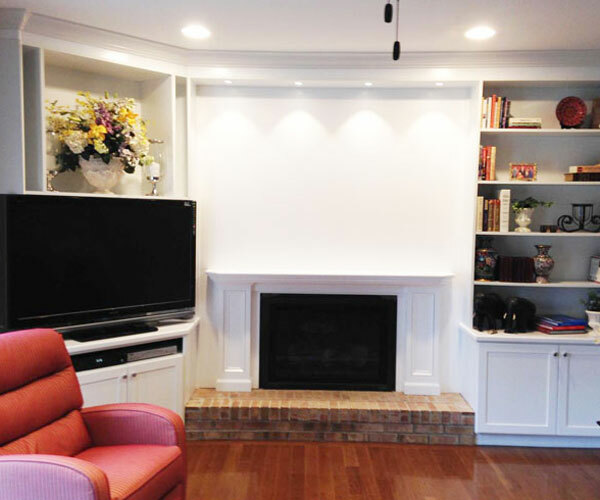 An elegant combination of a showcase and a Home Media Center has added value to this living room. 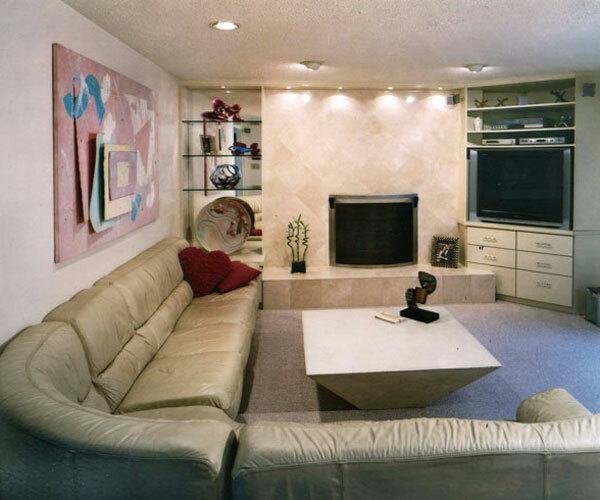 We try to bring you the best furniture, closets, wardrobes, entertainment centers and more. We offer a wide variety of design options, material choices, color combinations, and hardware selections. At Euro Design Center customer satisfaction is our number one priority, and as a result we have over 6000 satisfied customers in Maryland, Washington DC and Virginia. 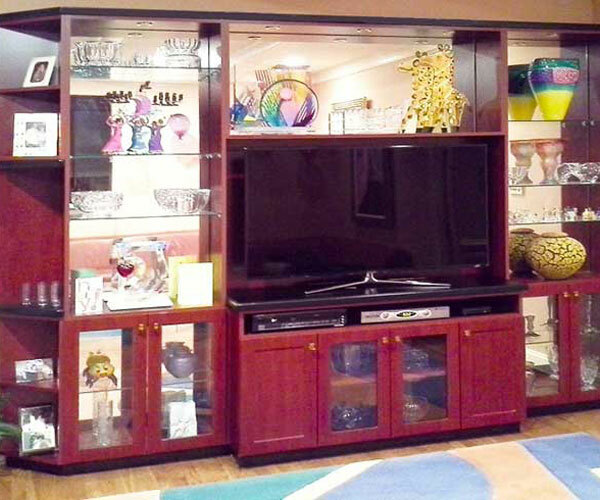 Show Display living room cabinet with entertainment center, TV cabinet, glass shelves, overhead lights, corner unit, counter top, and storage space. Choose from many different colors to get your Show Display done. Our highly trained designers will come to your house absolutely free and will measure and discuss your needs. At Euro Design Center we blend unwavering commitment, design expertise, and top quality products, with affordable prices to satisfy your unique needs. Call us today. 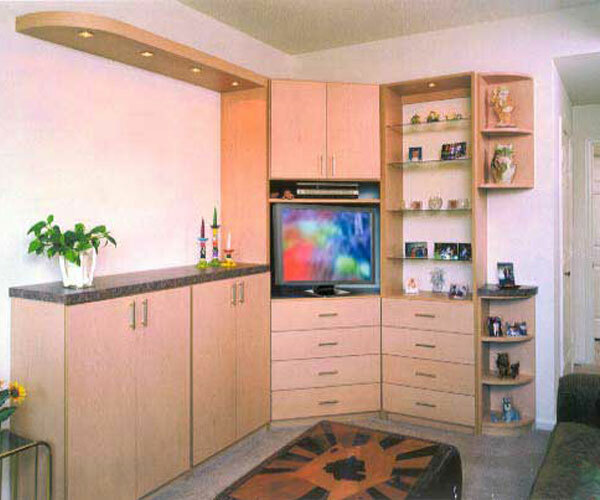 One of the most important aspects in designing good Furniture TV Stands is the size of the TV. The larger the TV, shorter the Furniture TV stand should be. This is why big screen TVs sit on the floor without Furniture TV Stands. 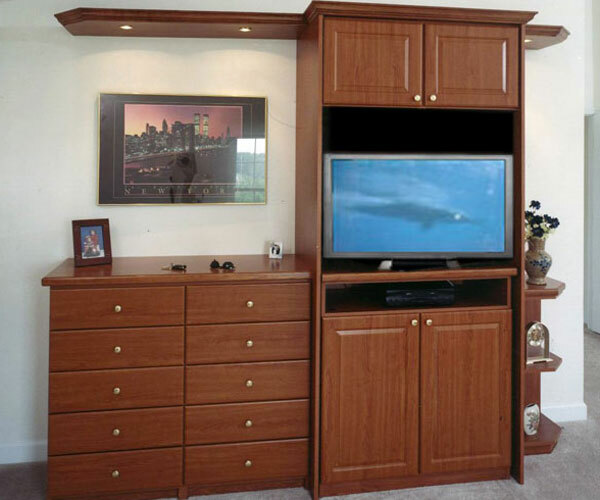 We have been making Furniture TV Stands in Maryland, Virginia, and Washington DC since 1980. Let our Furniture TV Stands experts bring you the comfort you deserve while watching TV. Elegant Home Entertainment Center for spending quality time with family and friends. 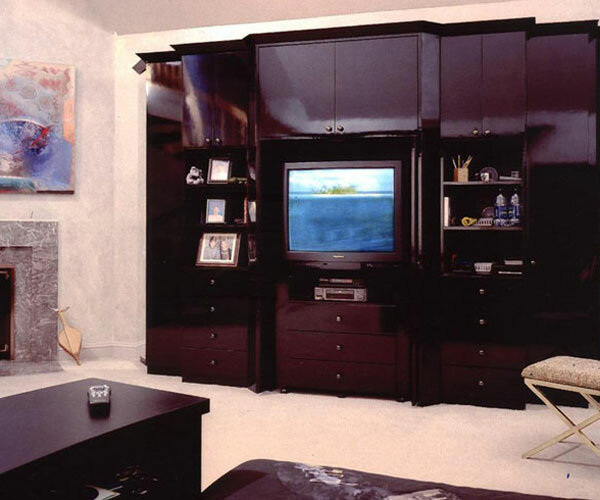 Since 1980 we have installed thousands of beautiful Home Entertainment Centers. Our highly trained Home Entertainment Center designers will come to your house absolutely free and will measure and discuss your needs. Then we will send you a design with pricing. 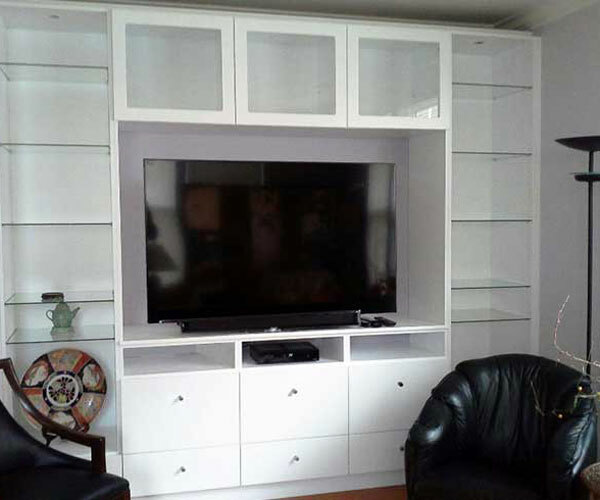 We offer a wide variety of design options, material choices, color combinations, and hardware selections, so you can create a functional, beautiful and economical Home Entertainment Center. At Euro Design Center customer satisfaction is our number one priority, and as a result we have over 6000 satisfied customers in Maryland, DC and Virginia. 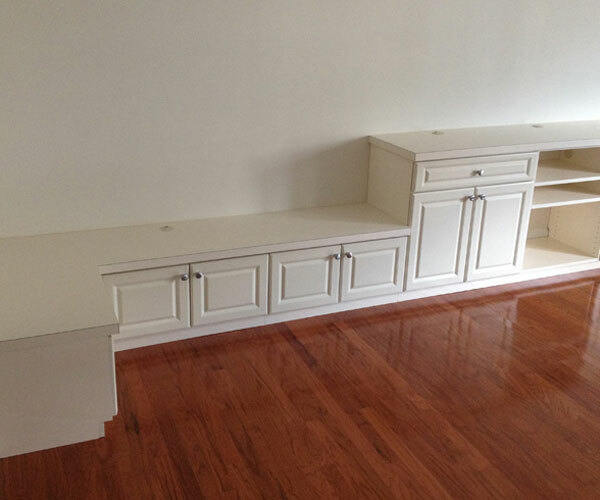 Custom made affordable complete TV counter and sitting bench. 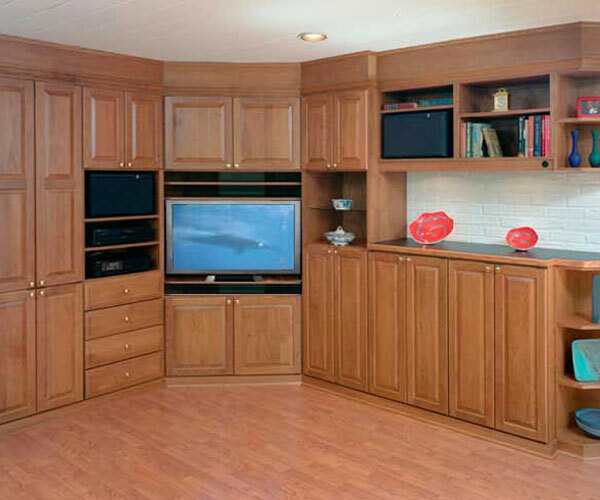 Entertainment center with TV Cabinets, room for DVD and Stereo. We were hand picked and invited by Home Expo Design Centers (a subsidiary company of Home Depot) to display our entire product line including Living Room Furniture, Display Cabinets, Display Units in their showrooms. This gives testimony to our design expertise and superior product quality. Enter your Email to receive future promotions.